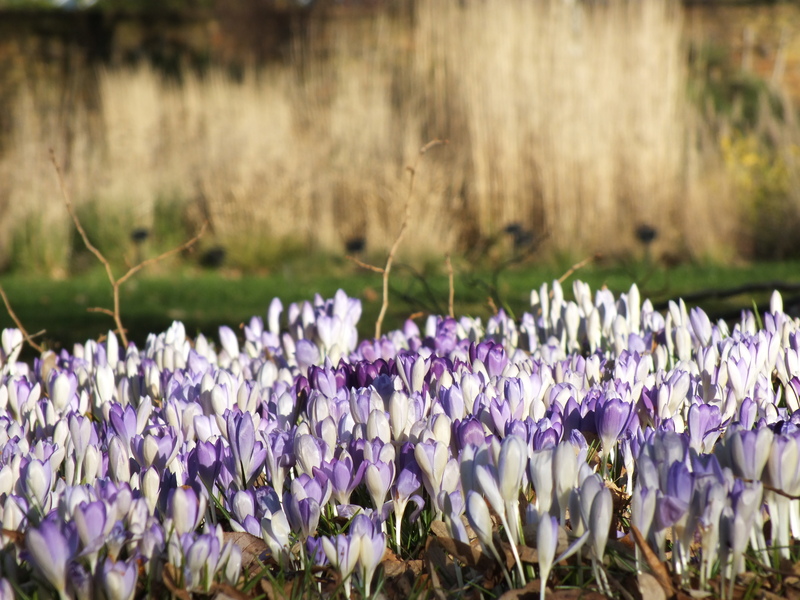 Low winter sunshine, strafing across the grass borders at Kew – incidentally these were being cut back to tufts of stubble by the gardeners and so I make note to do the same in my gardens soonish too – and illuminating this circle of crocus. I walked all the way around, watching the light highlight, back-light and catch all the hues from ghostly lavender to inky blue. Lovely.